This is going to be a very different kind of post for me because I don't often write in much detail about my illness. I'm going to share some significant news about something I have been seeking out for many years now and ironically; I'm doing it preceding the national campaign for Invisible Chronic Illness Awareness Week (September 13-19, 2010). I truly had no idea it was going to unfold like this but it's just like God to set things up in this way. Can I get a witness? Most of my family and friends know I've been chronically ill for the past sixteen years. What some might not know is how debilitating this illness has been and how difficult it has been to find an accurate diagnosis. I've been told a lot of things through the years. I've been a lot of places. I've been through a lot of testing. And I've been through a lot of trial and error. It's been extremely complicating, frustrating, draining and disheartening. Throughout the years, I've actively searched for the true cause of my illness; even up until this present time. I've encountered some of the best and some of the worst that our health care system has to offer. That in itself forced me to change my thinking and make subsequent adjustments. And I thank God for it! For the past year, my doctor and I have pursued what we now believe to be at the root of this illness that has so changed my life and the life of my family. It is with a mixture of relief and reservation that I share this with you. I mean this is the past sixteen years of my life briefly stuffed into this one little blog post. So it's a tad disconcerting. And it's bittersweet (if you're chronically ill and in search of answers, you know exactly what I mean). Honestly, I've wrestled with writing this. It is a stretch for me. But I have earnestly felt the Lord nudging me in this direction. So here it is. I have chronic Lyme disease. This implies I have had Lyme disease for a long time and it's true. Longer than anyone really knew. I was misdiagnosed many years with MS and Chronic Fatigue Syndrome. But before that, a couple of my docs found that I had several chronic viral and bacterial infections (EBV, CMV, VZV, Strep etc). 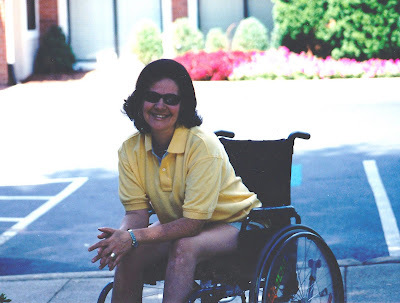 Before that I had been diagnosed with Post-Viral Deymelinating Syndrome, Transverse Myelitis, Primary Lateral Sclerosis, Vestibular Neuronitis, Optic Neuritis, and Migraine Variant secondary to MS. It's really been Lyme and co-infections all along. Uh huh. It's left my head spinning too. Lyme disease is often called, "The Great Imitator" because it can mimic so many other diseases, which can lead to improper and delayed diagnosis. This is what has happened to me and to many others as well. It is a very complex, multi-systemic infectious disease that is caused by the bacteria, Borrelia burgdorferi. When Lyme is left untreated, it will disseminate throughout the body and cause big problems. So it's been with me. As many of you living with chronic illness also surely know, my story isn't a simple one. I couldn't possibly address the myriad struggles that have occurred through years. What I do want is to share some of the invisible aspects of my illness, which is what Invisible Illness Week is really all about - bringing awareness to the fact that much of the suffering of chronic illness and/or pain isn't always visible to others. Let me first say the most tangible and visible aspect of this illness is clearly my wheelchair. But what a lot of people don't really know is why I am in a wheelchair. And that brings me to some of the not-so-visible parts of this illness. Chronic Lyme disease has greatly affected me neurologically, commonly referred to as Neuro-Lyme or Late Stage Lyme Disease. I have weakness in my legs, which really stems from inflammation and damage in my nervous system. But you can't "see" that. I've experienced a great deal of numbness and paresthesias and have had many problems with balance, disequilibrium and gait. These are the primary reasons I've been in a wheelchair for thirteen years. But there's more to this illness. Deeply profound chronic fatigue. Recurrent low grade fevers. Muscle and joint pain. Chronic sore throats. Headaches. On and on it goes. Much is involved. I really can't express how debilitating the fatigue and fevers are on many days; it's very draining. My immune system has been damaged as well. Co-infections and secondary infections are common in chronic Lyme and so it is for me. The bacteria that causes Lyme has also affected my heart, liver, and spleen. You can't tangibly see much of that either. What can be seen are the effects of it but they're not always recognized. And while this might all seem random in how my physical body has been affected, it is the very essence of chronic Lyme disease. And it has answered many of the plaguing questions we've had about the complexity of my illness throughout these many years. For me, the good news is in finally knowing what I'm dealing with. I can't tell you how frustrating it is to not know what's really going on when something clearly is. And after so long, you just want answers; no matter what they are. I recently began a treatment protocol for chronic Lyme disease. So this is all very fresh. And it is emotional for me because I didn't just settle for the possible or probable. Rather, I prayed and fought long and hard for true answers. It's still an ongoing battle but I know better where I stand now. I will say that living with chronic illness is something like experiencing four seasons in one day; it's that overwhelming at times. As I close, I must say that my faith in Christ plays a huge role in my life and therefore also in this illness. I cannot separate my faith from any aspect of living, including Lyme disease. My relationship with Jesus is what has ultimately sustained and preserved me. And I must also tell you that I've come to know Him in a much deeper and more personal way through all of this crazy, beautiful mess. The love and support of my family, friends, doctors and therapists have been a tremendous blessing. My mother has been my caregiver throughout all of these years and I can't possibly articulate all she has done for me. I don't know where I'd be without her. Mom, thank you from the bottom of my heart! Although this is a very difficult and lonely journey that is often misunderstood, and although physical healing has not yet come for me, I truly believe great beauty will be birthed from out of this pain and suffering (that's why I refer to it as a "beautiful mess"). In some small way it already has. But I believe there's much more to come. I hope you'll follow along with me in this Lyme journey. And I hope you'll celebrate with me one day when it all culminates in healing and wellness. Stay tuned. Wow Michelle, what an incredible journey! I pray the treatments help. My oldest son had Lyme's Disease a few years ago. For him it settled in his knee after having mysterious fevers for a while. We live in the woods (and are very careful now about checking for ticks) and my husband suspected Lyme's Disease and thankfully our doctor works with us and got him tested for it. God bless you and I'll pray for you! Thanks so much, Emily! Your prayers mean a lot! I appreciate you taking the time to stop by and read this. And thank you for sharing with me about your son and his bout with Lyme Disease. Has he fully recovered? He still has it in his system. If he gets the blood work it'll always show up, but it doesn't bother him as far as I know. I guess if he starts with mysterious fevers and stuff like that we'll know if it acts up again? That's my guess. I should probably read up on it better to find out about relapsing - it'll be good to know. He was on an antibiotic for a month (I think 500 mg of amoxicillian (sp?) 3 times a day. It might have been 250 mg. It has been a few years. @ Pam It's all a very long and complicated story! Just as I said in my post, my doctor and I have been pursuing the CLD for a year now. The Lord has truly used her to find out many things no other doctor has been able to! So that has been such a blessing to get better clarity about my illness. @ Emily I pray that your son will never have a relapse. I pray for continued wellness! Thanks again for stopping by, Emily.